This piece of furniture was constructed out of beech hardwood and made to fit exactly between two doors at the clients property. 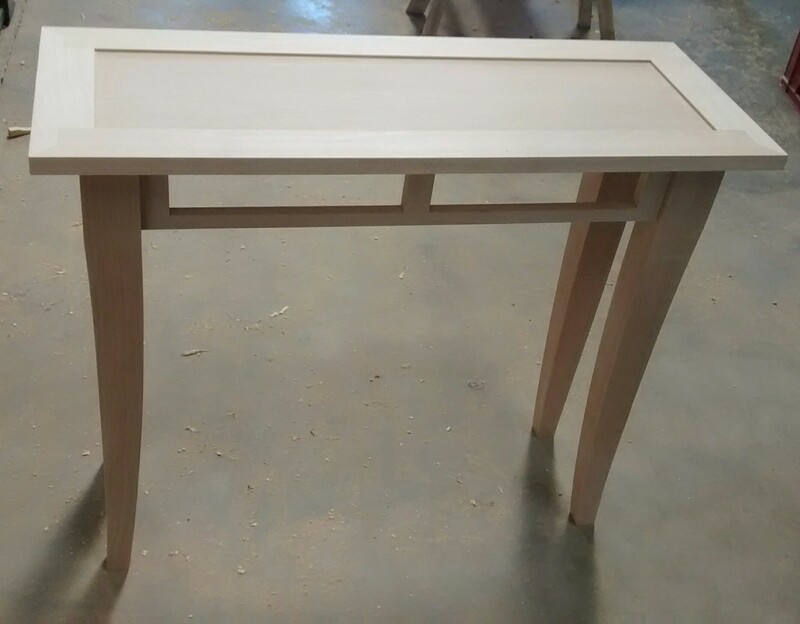 The item was built to the clients specific requirements to have a recess in the centre of the top and curved legs. The top with its large boarder and overhang was champhered on the underneath to give it a less bulky look. The corners were mitered to keep things tidy with no end grain on show. 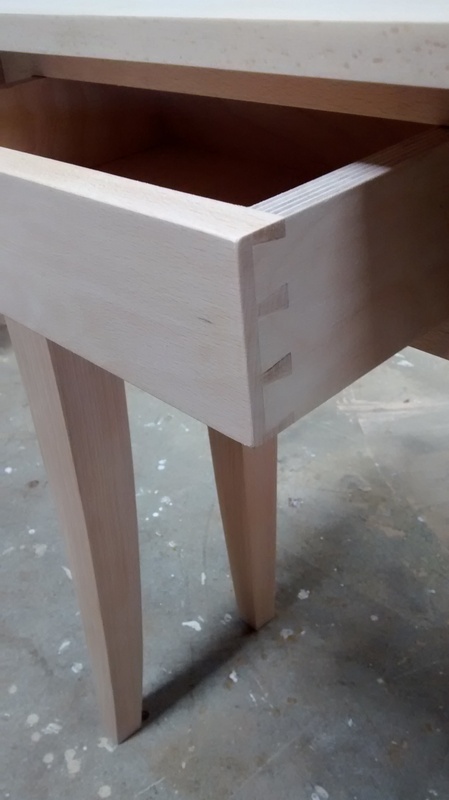 The two drawers constructed with half blind dovetail joints. The drawer front in beech and the rest of the drawer from birch ply to give them more stability. The finish of the table is in an antique oak stain and a hard wearing lacquer, completed with brushed chrome knobs.